Eastern Air Lines Group Inc. announced on October 17, 2016 that, effective immediately, James Tolzien has been appointed the company’s Interim Chief Executive Officer. The move also marks the departure of former CEO Mr. Edward Wegel. Mr. Tolzien will continue to lead Eastern’s growth while the Board of Directors conducts a global search for a permanent CEO. The search will be led by General (Ret.) Ray Odierno, Chairman of the Board of Eastern Air Lines and assisted by the global executive search firm Korn Ferry. Mr. Tolzien has been Chief Financial Officer of Eastern Air Lines Group since its inception in 2011. Mr. Tolzien has over 40 years of executive experience across the travel industry. He has served as both Chief Financial Officer and Chief Operating Officer for several major corporations, including Alamo Rent A Car, Budget Car Rental, and the corporate travel management company TravelLeaders. 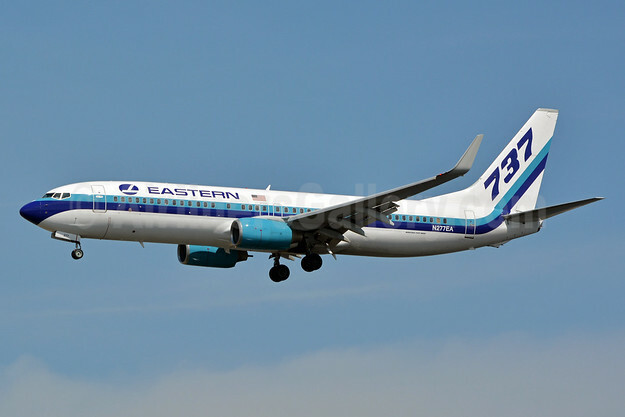 Copyright Photo: Eastern Air Lines (2nd) Boeing 737-8CX WL N277EA (msn 32359) MIA (Jay Selman). Image: 402999. This entry was posted in Eastern Airlines (2nd) and tagged Boeing 737-8CX WL, Eastern Air Lines (2nd), MIA, msn 32359, N277EA on October 18, 2016 by Bruce Drum.